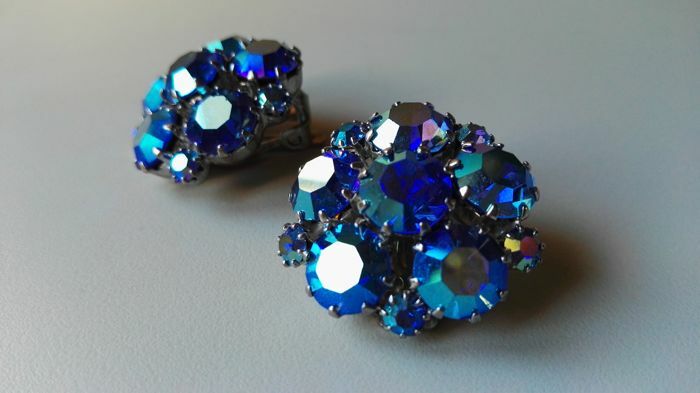 Vintage 1950s earrings by WEISS. 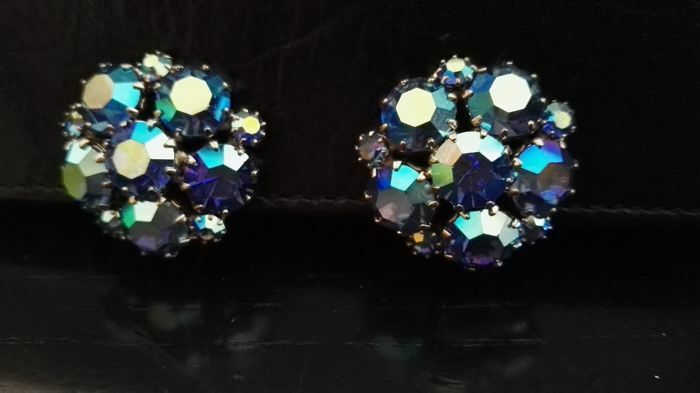 The earrings are made of gold rhodinated silver and blue aurora borealis in different sizes. 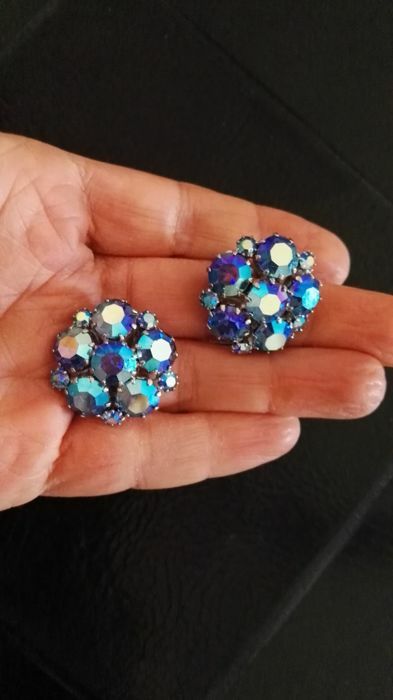 The crystals are all mounted and not glued (the sign of top quality costume jewellery). 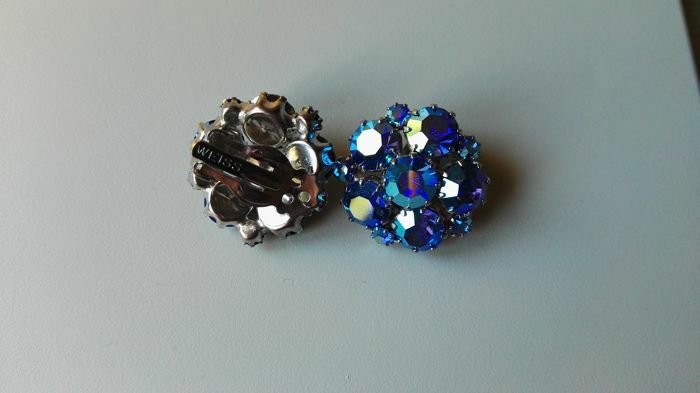 Clip-on clasps so can be used by those who do not have pierced ears. 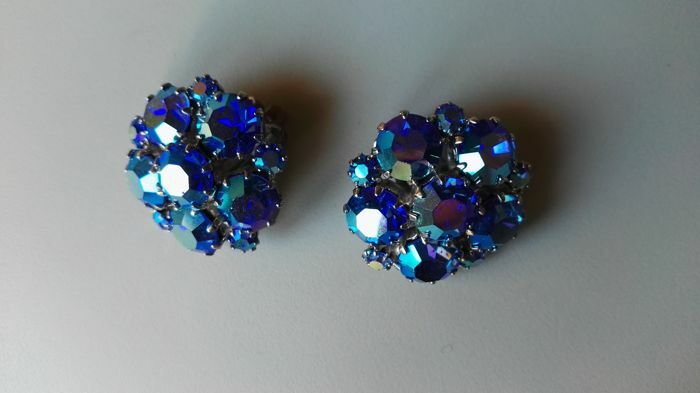 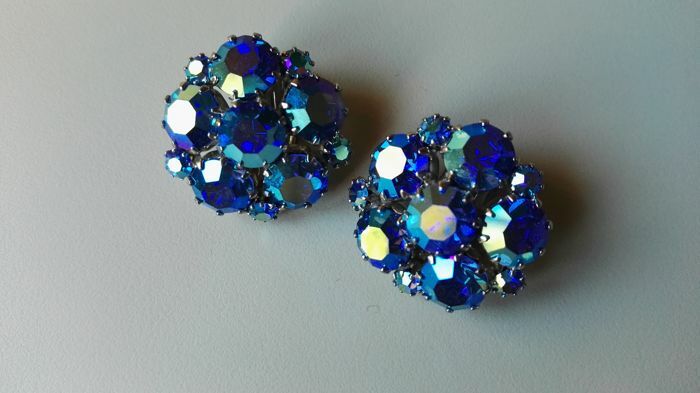 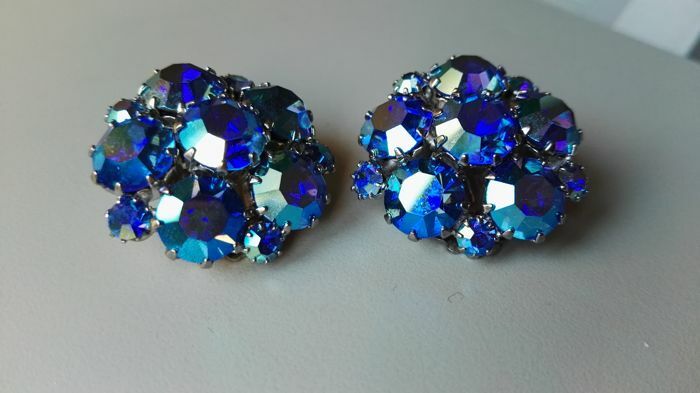 For vintage earrings, they are in excellent condition. 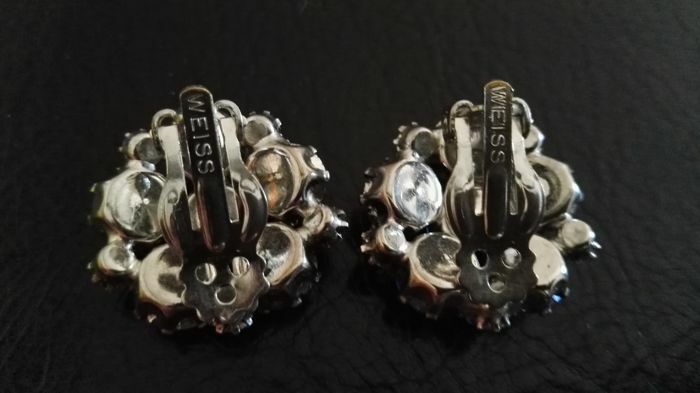 I do not know the precise weight as I do not have a jewellery scales, but they are approximately 14.4 g.
They are marked WEISS on the back, the engraving is easily visible without a lens. 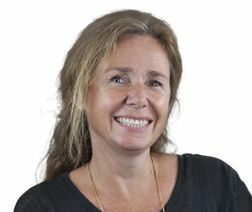 Take a good look at the photos, which are an integral part of the description.